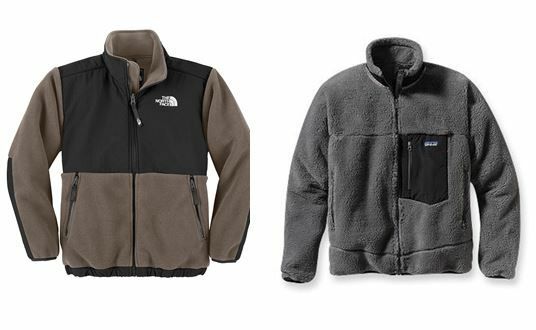 How can you tell the difference between The North Face and Patagonia? Just looking at the merchandise of each, the two companies are easy to confuse. With little difference in price point for most items, the two companies’ main products (winter athleticwear) look just about the same, and it can be difficult to see which brand has the upper hand. And despite their reputation as the clothing of suburban high school students, both Patagonia and North Face are well known as front-runners in the field of ecologically responsible companies. Organic fibers, ethical treatment of workers, minimizing emissions from company workshops, and transparency on business ventures are the orders of the day for both companies. One key aspect that separates the companies is their annual revenue: The North Face made $2 billion in 2013, while Patagonia brought in a little over $570 million. But Patagonia isn’t ramping up their efforts to better compete in numbers with The North Face. In fact, according to their founder Yvon Chouinard, they’re not interested in increasing profits at all. In an interview with GreenBiz last year, Chouinard argued that “green” is a buzzword that no longer has meaning, and that green products too often become easy ways of making companies and consumers feel satisfied with minimal actual change. To make matters even more interesting, Patagonia has additionally begun selling used Patagonia clothing and merchandise in stores in five cities nationwide, with plans for expansion. They have also created an investment fund to help environmental activism startup companies (according to this 2014 Adweek article). Companies that are the direct competitors of Patagonia, including The North Face, have published relatively little in response to these calls to action. In fact, The North Face has little intention of diverging from the typical business plan of growth above all. They announced in their 2013 annual report that they plan to see their annual earnings raise to 3.3 billion by 2017. What does Patagonia’s marketing push mean for their appeal? As a selling strategy, suggesting that people shouldn’t purchase their apparel could backfire miserably. For consumers to believe in this “anti-growth” campaign, they would not only have to believe that Patagonia is sincere, but also be willing to set aside their own materialist wants for “the greater good.” In this kind of un-marketing strategy, Patagonia only wins if you don’t buy their latest athleticwear, and you also don’t buy from any other brand. Even so, it appears revenue and popularity are what Patagonia stands to lose, if the campaign isn’t viewed as sincere. But popularity doesn’t seem to be a problem with Patagonia’s anti-growth plans. Back in November 2011, on Black Friday, Patagonia sold its winter line with tags that read, “Don’t buy this jacket.” Black Friday customers were swayed by the tags, but ironically not to buy less from the company: thanks in part to the tags, Patagonia saw its revenue increase 30% from the previous year’s Black Friday. Chouinard believes that rise in sales was due to winning new customers over from other brands. It’s clear that these days, in the realm of big business and environmentalism, Patagonia is easily outshining The North Face, with its promises of real change. If you’re looking for a different company than all the others, Patagonia wants you to look no further. But if you believe in Patagonia’s mission, there’s no need to run out and support their company with your cash—at least, not until you’re in the market for a new (or new-to-you) coat. Buy less, but when you must, buy Patagonia. Of course, companies like The North Face that are interested in growth for growth’s sake (and also in raising money to have greater capital for doing good) will continue to use traditional marketing techniques to appeal to customers. It has always been the responsibility of shoppers to read between the lines of marketing campaigns and to buy what is best, not what is marketed best. Patagonia has simply upped the deal, by asserting that they are more interested in the greater environmental issues at hand, than in their profits and your money. At the end of the day, maybe Patagonia is right—maybe we need to rethink the way we respond to calls for increased consumption. Perhaps buying less, and foregoing that new winter jacket because last year’s still works isn’t about denying yourself the latest in fashion, but about being responsible stewards of the earth. We’ve got to change how we reward companies that we trust and respect. But in order to do that, we as potential consumers must be responsible for taking the initiative to wait to buy things until we need them. Patagonia alone can’t stop consumption unless we shop with care, and “buying into” the values of a company doesn’t have to mean buying a new product—or any product at all. So do you really need that new fleece this fall?